Could you be paying too much for car insurance or even risk having your cover invalidated? More than a quarter (27%) of drivers say they estimate their annual mileage when searching for car insurance, despite this being one of the key factors used by insurers to determine the cost of cover. Insurers take mileage into account along with information including age, car model, postcode and driving experience. It’s very important to give correct information when getting a car insurance quote. Overestimating the amount you drive could push up the price of your policy, while underestimating could invalidate your cover if you drive significantly more than you stated to your insurer. But many drivers are unaware of the consequences if they estimate incorrectly. 17% say underestimating will make their policy more expensive, while 21% think it will make their insurance cheaper. However, less than half 48% were aware that providing inaccurate information could invalidate their cover. The situation could be worsened by drivers’ poor estimates of distance between locations in the UK. On average, drivers in our survey overestimated the distance between cities by 14%. When asked the distance between Manchester and Sheffield, drivers overestimated by a staggering 190% — assuming a distance of 110 miles, when the locations are actually only 38 miles apart. Drivers also overestimated the journey between Manchester and Liverpool, guessing a distance of 94 miles instead of the actual 34 miles (a difference of 177%). Cardiff to Bristol also caused confusion, with the average guess being 116 miles. In fact, the two locations are just 45 miles apart — an overestimation of 71 miles or 158%. But despite these huge variations, 90% of drivers say they are confident in the accuracy of their predictions. One way to accurately monitor your mileage is with a black box (also known as telematics) insurance policy. These types of policy work by using a small device installed in the car or a mobile phone app to monitor usage. More than quarter (26%) of people in the survey said they would find it useful to know their exact mileage with black box car insurance policy. 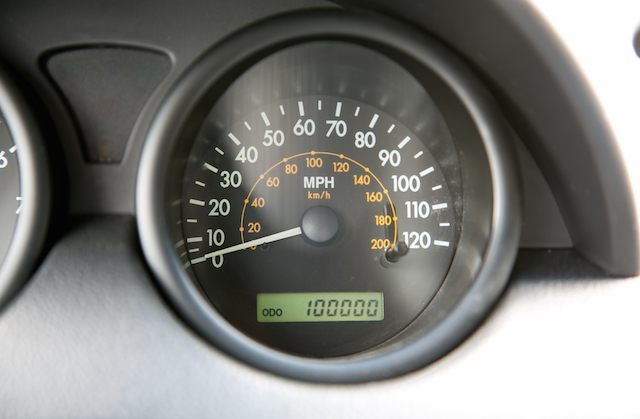 It’s also easy to see the mileage you’ve covered in previous years by checking your MOT certificate (if your car is three or more years old). This is available from the Gov.uk website. If you are likely to do a similar number of miles in the upcoming year (for instance if you haven’t moved further away from work), you can use this as a starting point. However, despite the easy access to MOT certificates, only 22% of drivers refer to them when to estimate mileage when applying for a car insurance policy. Rod Jones, insurance expert at uSwitch, said: “While many of us are guilty of relying on gut feeling when providing our mileage information when applying for a car insurance policy, misjudging the number of miles you drive in a year can have a real impact on your wallet.